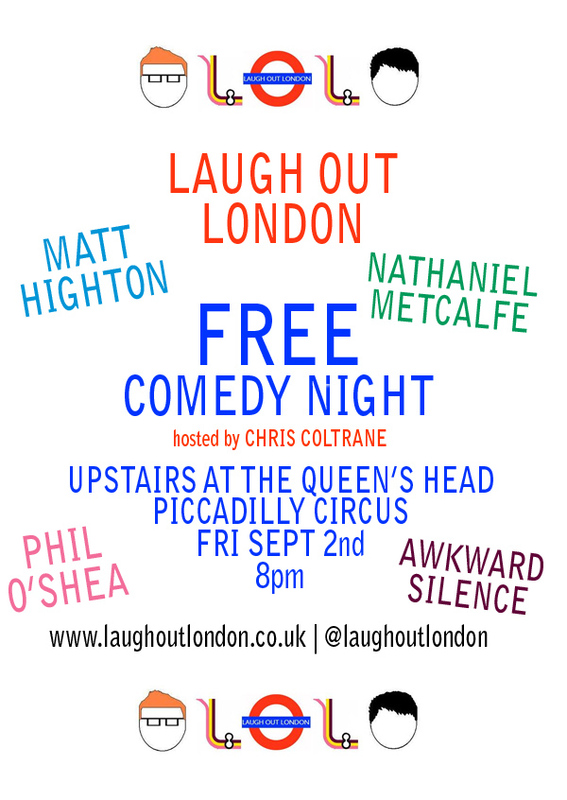 So, as another Edinburgh Festival Fringe draws to a close, Laugh Out London returns to its usual home (London) on Friday Sept 2nd for another great night of funny things. We’ve been doing some heavy duty scouting in Scotland’s greasy capital, and we’re very excited to bring you some of the acts that excited us most. And there are some LOL favourites too, who shall be entertaining once again. 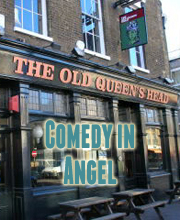 And of course, those pesky details of time (8pm for 8.30pm start); location (The Queen’s Head, Denman Street, Piccadilly Circus); and date (yes please, I’m a very lonely man). And don’t forget, this is all for FREE!!! Make sure to click ‘attending’ on the Facebook event too. CHRIS COLTRANE – The LOLliest MC around. MATT HIGHTON – His show at this year’s festival was one of the most clever and original hours you’ll ever see. What next? We shall find out! NATHANIEL METCALFE – Another man with a fab Edinburgh run, and a lovely LOL fav with the most wonderful of pop culture insights. PHIL O’SHEA – Surrealism as an artform. Or something. And muchos funny with it too. BOBBY MAIR – A Canadian gentleman. He’s won competitions there and everything. And is excellent. THE AWKWARD SILENCE – They create comedy and slap you in the face. Expect smart, chucklesome (you may chuckle more than just ‘some’ however) sketches. JACK DE’ATH – Some fiesty upstart with cool haircut and a cardigan. LOUISE MOTHERSOLE – Half of LOL veterans Sh!t Theatre, whose Edinburgh show was properly magnificent in all magnificent ways. I’m expecting magnificence. Doesn’t that all sound exciting?